For the past three years the FMA has organised a campaign to raise the awareness of Family Mediation. This year it will run from 21st to 25th January 2019. Click here to take a look at the Family Mediation Week website, it offers information on everything you want to know about the campaign. There is a Guide to Family Mediation Week which you can view here. 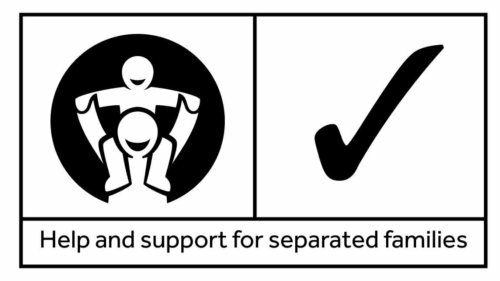 The aim is to let more people know about the benefits of mediation, and to encourage separating couples to consider family mediation as a way of helping them to take control of their situation and make decisions together. If you are an FMA member you will be able to find resources in the members’ area. If you are a family mediator but not an FMA member, we encourage you to take part and from the autumn onwards each year we offer resources including logos and a poster you can use to advertise your mediation service during Family Mediation Week. The earlier you or your organization look at ways of using Family Mediation week to raise awareness the more of an impact you can make. We want to help people who choose to separate understand that lawyers and courts aren’t their only divorce option, and also to let friends and family know that family mediation is an option they can suggest to someone close to them who is experiencing separation and doesn’t know where to go for help. We continue to promote family mediation as a good way forward all year round, but Family Mediation Week is a really good way to focus the attention of the press and the public on the value of the service we offer.